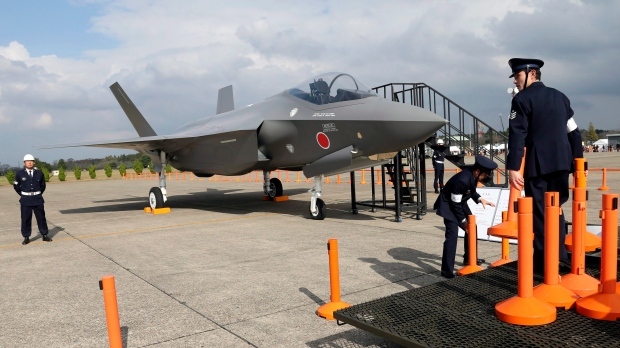 Tokyo, April 10: The wreckage of a Japanese F-35 stealth fighter jet was found on Wednesday, a day after it disappeared from radar over the Pacific Ocean, Japanese military officials said. The pilot of the plane, however, was still missing, the BBC reported. It is not known why the plane, which is less than a year old, lost contact and crashed. Japan’s F-35 Fighter Jet Goes Missing Over the Pacific Ocean. The fighter jet went missing at 7.27 p.m. on Tuesday as it was flying 135km east of Misawa, a city in northeast Japan. It lost contact about 30 minutes after taking off from the Misawa Air Base. No problems with the aircraft had previously been reported, according to Japan’s public broadcaster NHK. Rescue teams were continuing their search for the male pilot who was in his 40s, according to news site Kyodo. Japan has been deploying F-35s, which cost at least $90 million, to replace its ageing F-4 fighter jets. The country has now grounded its 12 remaining F-35 fighter jets at the Misawa base temporarily, said Defence Minister Takeshi Iwaya.